Stars Michael J. Fox and Christopher Lloyd are joined by Oscar® winner Mary Steenburgen in this rousing, full-throttle conclusion of the epic time-traveling adventure trilogy from executive producer Steven Spielberg and director Robert Zemeckis. Fulfilling a long-time fantasy, Doc Brown has decided to live in the Old West of the 1880s. But when he's in danger of meeting an untimely end, Marty travels back in time to rescue him. There's just one problem: Doc is so smitten by schoolteacher Clara Clayton (Steenburgen) that he can't think straight! Now, it's up to Marty to keep Doc out of trouble, keep the DeLorean running, and keep the past, present and future on track so they can all get back to where - and when - they belong! Filled with all of the trademark 'Back to the Future' gadgetry, action, imagination and humor, it's a spectacular finale to one of the most popular adventure-comedy film series of all time! I wouldn't say this is my favorite Back to the Future movie... but it is a lot of fun. I really liked the addition of Mary Steenburgen to the cast. She did a fine job fitting in... I also know her from the TV Series Joan of Arcadia which I also enjoyed a lot. I have to admit though... even though it was good see what Dr. Brown was up to after Marty made it back.... I didn't care too much for the flying steam engine. I mean it would have been one thing if they didn't make it fly.... but in my opinion the flying part just was a little too far fetched (not story-wise mind you) it just didn't look right the way it took off. So I didn't care too much for that. But over all a fun movie and nice conclusion to the trilogy. Tony and Doug land in Baltimore where they learn of a plot to kill President Lincoln during his train ride to Washington for his inauguration. Definitely a good episode. Maybe not quite as good as I was expecting... but I did enjoy every minute of it. I liked how they did the storyline... and them bringing the young boy into the time tunnel. I thought Lincoln was done well also. Back to the Future Part 3 is actually my favorite of the trilogy...of course, that may have something to do with the fact most of it takes place in the Old West which is my favorite genre. The flying train never bothered me since it only takes up 10 to 20 seconds of screen time at the very end. I also like Mary Steenburgen...this isn't her only time travel movie, of course...she was also in Time After Time (I think that's the title). I also enjoy her as Steve Martin's wife in Parenthood. Yes it was Time After Time. I just watched that one recently. Very good movie. Get ready for "a wild ride" (The Washington Post) as legendary director Tim Burton's unique vision of the future roars to life in this "amazing display of imagination" (San Francisco Chronicle). In the year 2029, an American astronaut (Mark Wahlberg) crash-lands on a strange planet where talking apes rule over the human race. Now he must evade the advancing gorilla army to reach a sacred temple that may hold the shocking secret's of mankind's past - and the last hope for its salvation! Ok... what did I think of this remake? While it is a remake... I think it is really a different type of movie then the original. It only takes the basic idea... but this one goes more into the action movie direction then the original one did. I like it for what it is... I enjoyed all the visuals. I also enjoyed the story. But I don't think I would say it is better or even quite as good as the original. I like it almost as much though... only for different reasons. This is just a fun blockbuster type movie. Not something that will ever be considered close to the classic that the original one is. One thing I am not sure how I feel about is the ending. Not sure it really worked for me personally. But that is ok... over-all I still enjoyed it for the most part. Sadly you don't have "Time Bandits" in your list. Sadly, I don't have Time Bandits. I believe I seen that one once many years ago when I was a teen. And remember enjoying it. But for some reason never managed to get it in my collection. The tme travelers land at the Alamo on March 6, 1836, just nine hours before the famous fort falls in one of the most renowned battles in American history. Another good episode. I really liked the story they put together for The Alamo. While Jim Bowie was in the episode quite a bit... you only got to see him use his famous knife skills briefly towards the end of the episode. Before that I was thinking they wouldn't show him with his knife in this episode at all. But I definitely enjoyed this episode. I am just not so sure about the next episode that they previewed at the end of this one. 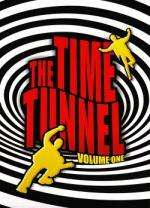 I just picked up Time Tunnel Volume 1 myself in an online trade. Looking forward to watching it after reading some of your episode reviews. I hope you enjoy it as much as I have so far... I have volume 2 also... and looking forward to those episodes as well... though I heard the later episodes weren't as good. Next I wanted something lighthearted and fun. This was recently given to me so figured I would check it out. As you can tell by the plot... this is a sequel. I normally prefer to see movies in order... but thought I would make an exception. I did watch the trailer to both the first one and this one before watching the movie though. It is a cute and fun movie... had a few chuckles in it for me. So is definitely worth checking it out. Though the movie is aimed more towards kids in the lower teens. Tony meets Rudyard Kipling after he and Doug materialize just before a battle between British troops and Afghanistan tribes in which the future of India could be determined. This one I enjoyed... but not quite as much as the previous two. It is funny that after watching A Kid in Aladdin's Palace... that this one has to deal with Tony and Doug in the deserts of India. But for what it is... it is good. I don't know... I think my mood is starting to shift a bit. Though I would like to fit in one more movie and one more episode before the day is over... if I am lucky. Though I must admit the next episode, which I believe deals with Nazis, I am definitely not looking forward to. As that is one of my least favorite subjects. But it is the final episode in this set... so I would kinda like to get it out of the way. Don't look like I will be getting any further on this marathon this weekend after all.